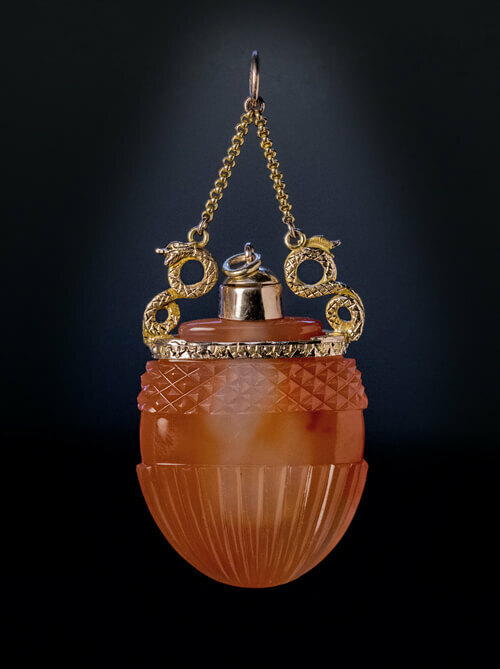 This rare and unusual perfume bottle pendant from the Napoleonic era is designed in Neo-Classical style as a carved carnelian ancient amphora with a gold stopper and two engraved snake-shaped gold handles attached to a gold bezel chased with a band of acanthus leaves. 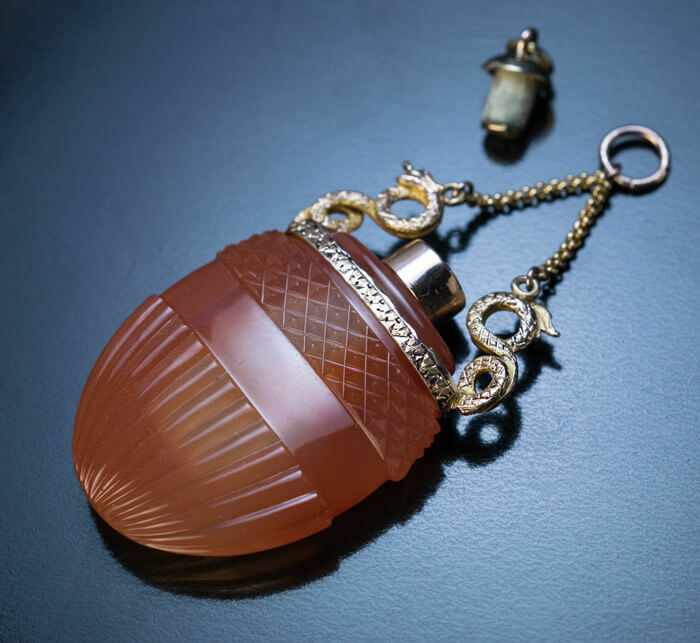 Carnelian is a semiprecious stone, an orange variety of chalcedony. The flat body of the amphora is superbly carved with fluted and diamond cut patterns. 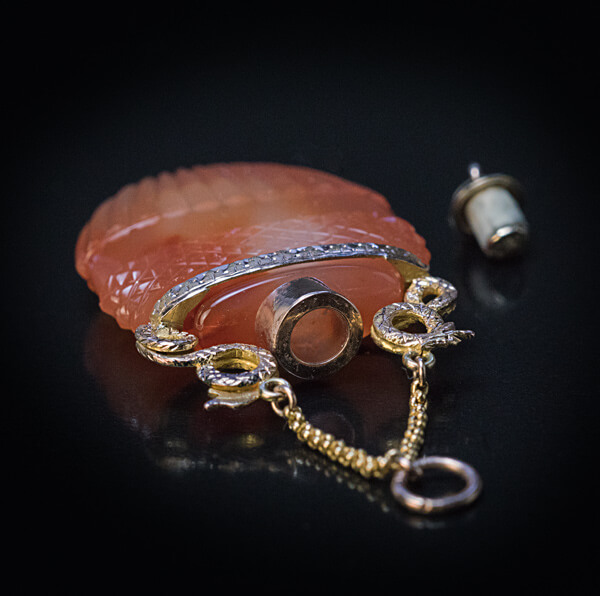 The pendant is in a pristine condition.